You will never know if there is any hidden camera inside your house or office transmitting or recording your private or working life details until you carry out a thorough detection. Doesn’t that sound creepy? But such things actually happen a lot in real life. 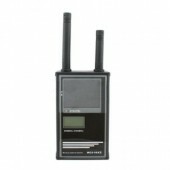 Here is a wireless camera detector spy camera scanner for you to anti against the growing surveillance technology. The small size 2.5 inch TFT chromatic camera scanner will work for a broad band of frequency 900MHz-2700MHz and be able to deal with all popular systems PAL/NTSC and CCIR/EIA. It is capable of efficient scanning with alto scanning from 10-20 cycles per second and manual scanning 1-10MHz per second. 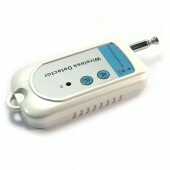 Moreover, the battery will support continuous working up to 3 hours. Fully charge it before put it into use, you are worry free of power off in the middle of camera sweeping. 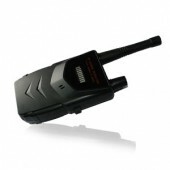 The portable size allows for using it anywhere, home, office, hotel room, conference room, class room and so on. The detector will come with an earphone as well for convert detection. Spy cameras are much better concealed with the progress of technology. 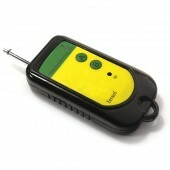 This professional scanner is one of the best camera sweepers for any hidden spy camera. Featured ease of use and wide compatibility, it is not just suitable for individual private protection, but also professional wireless detection. The product is just as the same as I required. I am satisfied. The shipment is even faster than I have expected. Incredible. Excellent with both good quality and sound price. Worth buying.